Bhopal: Chief Minister Shri Shivraj Singh Chouhan said that Madhya Pradesh will be made a hub of start-up companies with the assistance of young entrepreneurs. He called upon the young entrepreneurs not to let their business ideas die. Government will promote innovative ideas and efforts through Venture Capital Fund. 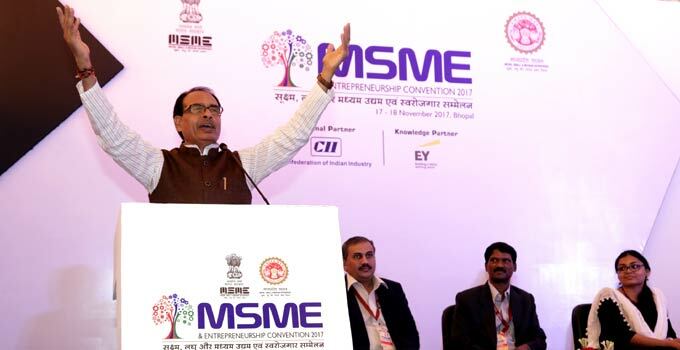 Shri Chouhan was addressing a session based on start-ups and incubation centre at the two-day Micro, Small and Medium Enterprises and Swarozgar Sammelan today. Shri Chouhan urged the youths to identify their power and talent. They will surely succeed. He said that with the help of young entrepreneurs, small industries will be expanded in Madhya Pradesh. This will create employment opportunities. He told the youths that they should identify their power like Ram’s devotee Hanuman. Government’s first priority is employment generation but this is possible only with the assistance of young entrepreneurs. Shri Chouhan said that young entrepreneurs will create history in Madhya Pradesh. Young manpower assisted by the government will shape the golden future of the state. Issuing instructions to create a helpline for young entrepreneurs, Chief Minister Shri Chouhan said that this will provide all initial information. He said that students will be given information about the importance and operation of venture capital fund. Sharing her experiences and journey of her development, Shreya Mishra, who has set up a start-up in Mumbai said that they should be ready to face criticism of their new ideas. Shreya who runs an online fashion company Flyrobe.com, gave details of the initial ideas of starting the company, fund arrangement, investment in company, guidance, market interest and people’s liking. Praising the venture capital fund established by the government to encourage start-up companies she said that this will encourage entrepreneurship. Managing Director of Venture Capital Fund Shri Sandeep Kadwe and Shri Ajay Jain of Incubation Centre, Hyderabad answered the queries of the people and guided them. Minister of State for Micro, Small and Medium Enterprises Shri Sanjay Pathak, Principal Secretary MSME Shri V.L. 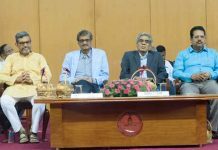 Kanta Rao and representatives of industrial groups and a large number of entrepreneurs were present on the occasion. Earlier the Chief Minister reviewed the exhibition of products manufactured by the companies of young entrepreneurs and encouraged them. He said that the government will support young entrepreneurs at every step.